Both psychological principles seek to strengthen a desired behavior and are essential in situations where influencing an individual (or an animal) is needed. Let’s find out the difference between the two. A positive event is added to reinforce a behavior. A negative event is avoided or removed to reinforce a behavior. Positive and negative rewards work in positive reinforcement. Positive and negative punishment are effective in negative reinforcement. 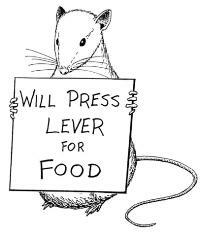 A humorous take on B.F. Skinner’s landmark study on reinforcement. Positive reinforcement is one of two types of reinforcement. It works by introducing a motivating factor or desirable event to an individual as a consequence of a desired behavior. This increases the chances of that behavior happening again in the future. Let’s try some examples. A mother gives some candy to her daughter for picking up her toys from the floor. If the child picks up the toys again, then the positive reinforcement worked. Another example would be a dog getting a treat after performing a trick multiple times. The child getting candy and the dog getting a treat are the motivating factors or positive reinforcers. Notice in each example that the reinforcers were added after the desired behavior occurred, increasing the chances of the behavior happening again in the future. It is important to remember that not all positive reinforcements are beneficial. Let’s take an example of parents pacifying a misbehaving child who simply did not get the toy that they wanted. Some parents would just give up and buy the toy. This way, parents are unknowingly telling the child that they can get what they want by using the same behavior when faced with a similar scenario. Negative reinforcement occurs when something that already exists is taken away or stopped to change a behavior after it has been demonstrated. The subject wants to remove or avoid a negative outcome or unpleasant event, so they are more likely to display the desired behavior. The simplest way to know if negative reinforcement is happening is to see if something negative is being subtracted or removed from the situation to change a behavior. Negative reinforcement is often confused with punishment. Negative reinforcement deals with removing or stopping a negative condition to reinforce a behavior. Punishment, on the other hand, is either giving or taking away stimuli with the aim of weakening a behavior. A good example of negative reinforcement is when a child dutifully does their chores to avoid any scolding they might get from their mother. 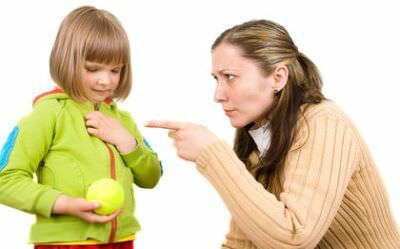 The mother scolding her child serves as the negative reinforcer that will strengthen the child’s “doing the chores” behavior. Another example would be a company offering Saturdays off to employees who finish work by Friday. The negative event here is working on a Saturday, which employees seek to avoid by getting work in by Friday, thus increasing productivity in the office. So, what’s the difference between positive and negative reinforcement? It is not surprising that it can be quite difficult to tell which is which right off the bat. There are also some instances where reinforcement is both positive and negative. However, knowing which reinforcing event is being added or removed and the manner in which both are being done will help determine whether positive or negative reinforcement is happening. Positive reinforcement is very straightforward – that is, it happens when a certain positive event is presented after a desirable behavior has been exhibited. An individual will work towards receiving the positive event or reinforcer. With negative reinforcement, an aversive (negative) event is either avoided or removed to strengthen a certain behavior. Physical and verbal forms of punishment are both applicable to negative reinforcement, while physical and verbal rewards are used in positive reinforcement.